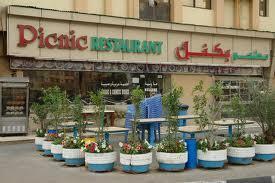 Located on the busy Al Satwa Road of Dubai, Picnic Restaurant is well known for its diverse and mouth-watering menu that includes dishes from different parts of the world. Due to this reason, people from different communities of Dubai often visit this restaurant and savour authentic Chinese fare along with Indian, Arabic and Middle Eastern dishes. These dishes are prepared from fresh ingredients and traditional recipes to produce the best flavours in town. On top of it, the prices of the dishes at Picnic Restaurant are also very cheap, which makes it a double treat for the guests. Picnic Restaurant offers an incredible culinary journey to the people of Dubai during which they will get to eat the very tempting Eastern cuisines such as Chinese, Indian, Middle Eastern and Arabic food. All these cuisines together make the menu of this bistro quite large and varied. Therefore, guests will find seafood, meat, poultry and other items in abundance on the menu of this restaurant. Aside from the dishes, fine range of regular drinks are also available that are also offered in other eating places of this city. A dedicated smoking area is also available in this restaurant for smokers, aside from an open air seating facility, from where one can also take pleasure in the amazing views of Dubai City. Enjoy the delicious gastronomies of this eating place with your friends or family members at your own place by opting for its takeaway service. The operational hours of Picnic Restaurant are from 8:00 am till 2:00 pm and this bistro opens on all seven days of the week. Al Satwa, Dubai, United Arab Emirates. World Trade Centre Metro Station 2 is 1.7 kilometres walking journey from the Picnic Restaurant, which takes nearly 22 minutes, if a commuter heads out in the north course from this metro station. Then turn slight left towards 308th Road and afterwards make a left turn towards 308th Road. This will bring the commuter to another turn on the right side that will lead him or her onto 308th Road from where patron will take a sharp left turn towards Al Diyafah Street/D 73 and then continue straight on it. At the roundabout, patron will take the second exit onto شارع السطوة‎/D 90, before making the final sharp right turn that will bring him or her quite close to the destination. 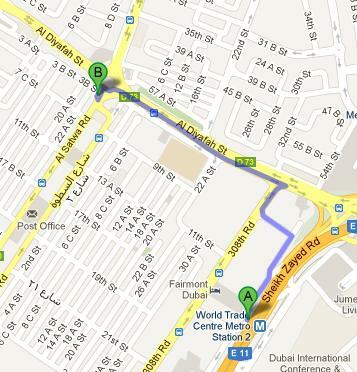 Bus stop called Satwa, Post Office - Dubai is 230 metres away from the Picnic Restaurant. It takes a bus user about 3 minutes to cover this distance on foot, if he or she head in the northeast direction on شارع السطوة‎/D 90 towards 9th Street, then turn slight left towards شارع السطوة‎/D 90 and afterwards turn right onto شارع السطوة‎/D 90, from where the visitor will make a slight left turn in order to reach the destination. Bus numbers 7, 32C, 55, 88, 93, 98EC1, C9, C14, C26, F11 and X13 can be used to get to this bus stop. Directions.